I became a stay at home mom (apparently we have our own acronyms now SAHM) when my first child was born. I haven’t returned to the work force primarily because weighing the costs of child care for our family would not be worth it. But all that to say, just because you may be a SAHM, doesn’t mean you have to up all your passions and goals. I still make a side income, workout from home, and even attained my bachelor’s degree online! Having something for you to do besides taking care of a household, is healthy for both your mind and body. Whether this be a job, fitness related, or going back to school, you might be surprised that you can achieve all three of these in the comfort of your home. Of course having a child can throw your career a bit out of the window. Sometimes it’s just for a season, and other times it’s a decision you’ll make until the kids are grown. However, we now live in an age where the Internet is booming and jobs from home is the newest and latest trend. There are many benefits working from home can give you, such as a more flexible schedule and the ability to still be home with your children. Of course it won’t always be perfect and go smoothly, however with adjustments and patience on your end, you might be surprised just what you can manage. There are many sites online that offer job openings. Most times all you need is a working computer and a phone. I am a full time blogger. It has taken time and patience but over the past year I am now making commission from my blog. U=\derstand you won’t make money right off the bat or even land the perfect “at home” job. Be patient with it. But while you’re on the search for something great, check out https://budgetboost.co/part-time-work-from-home-jobs-online-or-near-me/. Sites such as these will list any at home working jobs near you and suitable for your skills. This is a great outlet and beneficial for both your mental and physical health. Fitness is another outlet for me and something I find time for. Just recently I joined a gym, but for 3 years straight, I worked out from home. Oftentimes it’s way more convenient to just workout from home. There are plenty of options and purchases you can make. For instance, if you have the room and finances, a treadmill or exercise bike can be great additions to your home. But, because those take up plenty of space, purchasing a few sets of dumbbells, kettlebells, resistance bands and utilizing YouTube can be plenty! The best part is that you can do all this from your living room and still keep an eye on your children. I will return to this kind of “working out” again once my third baby arrives. Plus, it’s best to avoid germs during the cold and flu season! This is another one I tackled from the comfort of my home. In fact, I finished my Bachelor’s degree when my first born was 6 weeks old! It can be very difficult, stressful and challenging trying to raise children and run a household. However, it is definitely possible. There are universities and websites that allow you to study degrees and certificates in a whole variety of different career paths and subjects online. This will allow you to take a whole new path in life while still being able to be there for your family. Plus you can take it at your own pace. If you can only manage part-time one semester, go for it. 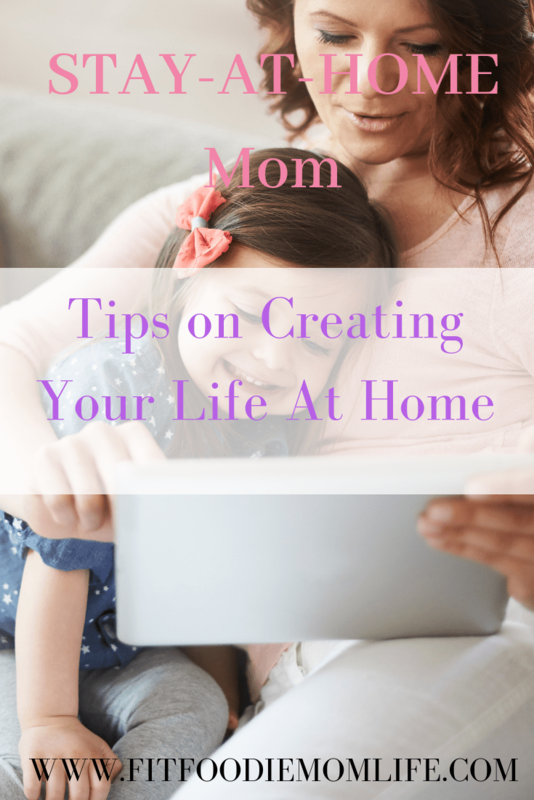 You’re in charge of your own schedule (or should I say your kiddos determine that!). We live in a fast paced internet world. The increasing abilities to work from home has never been easier until now. In fact, it is possible to never leave your home (although I guarantee you will go crazy). With online shopping, grocery delivery, online exercise subscriptions, at home jobs, and online school, you have a huge variety of possibilities! Find something for you. Self-care is important for your mental, emotional, and physical health.